Whether it's by air, car or bus, there are many options for visitors travelling to Revelstoke. 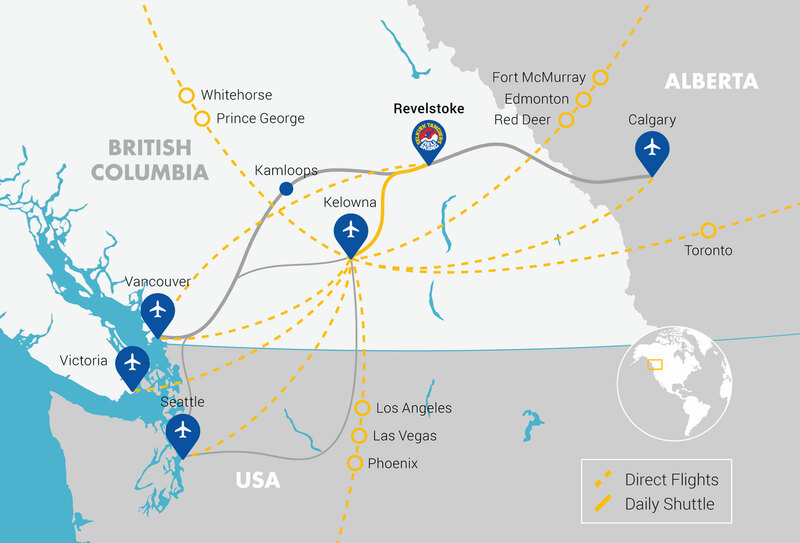 Explore options to access Revelstoke by air, including direct flights from Vancouver and flights to Kelowna from many national and international locations. National and international connections are available to Kelowna with ground transport to Revelstoke. International access is available to Calgary and Vancouver, transferring to regional airlines and/or ground transport. Regularly scheduled and private transfers are available from Kelowna International Airport to Revelstoke. Everything Revelstoke offers regular transfers directly to your hotel in Revelstoke on The Stoke Shuttle. Everything Revelstoke also offer private transfers from many other locations, including Calgary, Vancouver and Banff. Revelstoke’s airport has a 1,460-metre paved runway, terminal building, fueling facilities and hangars servicing small planes and helicopters. Charter aircraft and helicopter services are available, with taxi service to town (reserve in advance or call from the airport). The drive to Revelstoke, British Columbia is arguably the most spectacular in Canada. Travelling from the east, you’ll pass through two National Parks in the Selkirk Mountains, featuring views of white-water rivers, pristine forests, dramatic peaks, and impressive glaciers. Travelling from the west, your journey takes you through the scenic Okanagan Valley. If you are renting a vehicle, please request your vehicle is equipped with winter tires for your commute into the interior. Four popular rental companies are Hertz, Thrifty, Budget and National. Take the first signposted exit to the Hillcrest Hotel on the left if travelling from the East (Calgary, Banff), or if travelling from the West, drive past the first and second exits into Revelstoke after crossing the river until you see the sign for the Hillcrest Hotel on the right (Kamloops, Kelowna, Vancouver). Follow the road as it curves to the right and you will reach the home base of Selkirk Tangiers Heli Skiing. Travel west on Victoria Road. Turn left onto 4th street, crossing the railway tracks, then immediately left onto Townley. Cross the bridge across the railway tracks and follow the road up the hill to the highway. 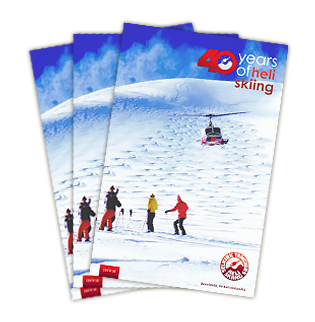 Turn right onto the highway, then take the next right to the Hillcrest Hotel, Selkirk Tangiers Heli Skiing’s home base. 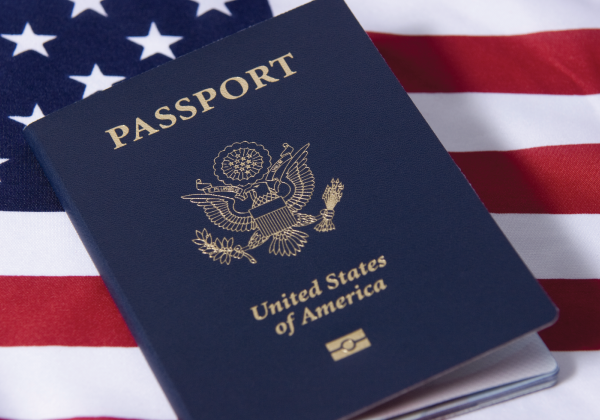 Implemented on January 23, 2007, all persons traveling by air between the United States and Canada are required to present a passport or other valid travel document to enter or re-enter the United States. Please visit the Bureau of Consular Affairs, U.S. Department of State for more information on the Western Hemisphere Travel Initiative.